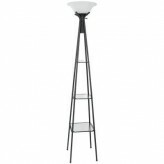 Illuminate your living room, office or bedroom with the sleek styling and ample light offered by this contemporary Boswell Floor Lamp. A gray and white marble look base anchors the lamp with industrial appeal, while a sweeping metal arc rises up to meet the rounded metal orb that houses the bulb. This is an iconic style reminiscent of popular mid-century designs and a beautiful addition to any room in need of an additional lighting source. 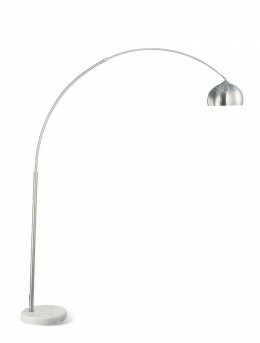 The height of this lamp measures from the base to the tallest part of the curve, and is not made of adjustable materials. 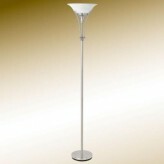 Furniture Nation is proud to offer the Boswell Floor Lamp online. 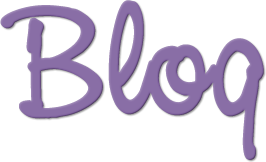 We serve customers across the DFW region including Southlake, North Richland Hills, Denton and many more. L28" x D13.75" x H85"